Raising daughters today is a real roller coaster ride sometimes! It is not easy to raise daughters who are able to love themselves and others in the constant-on, all-too-public world where reality is never quite what it seems in the "instant" worlds of Instagram, Twitter, and Facebook! We had the opportunity to read and review the second book in the Bible Belles' The Adventure of Rooney Cruz series. We met Hannah in the first book. In this book, the second in the series, we meet Esther. This children's book series introduces girls (and boys too) to some strong, beautiful "Belles" from the Bible--and teaches children the real definition of "beauty" through some special stories. What was our review of this children's book? We received a complimentary copy of this book for use in our review. We also have a copy for one lucky reader to win at the end of this post! All opinions are our own. 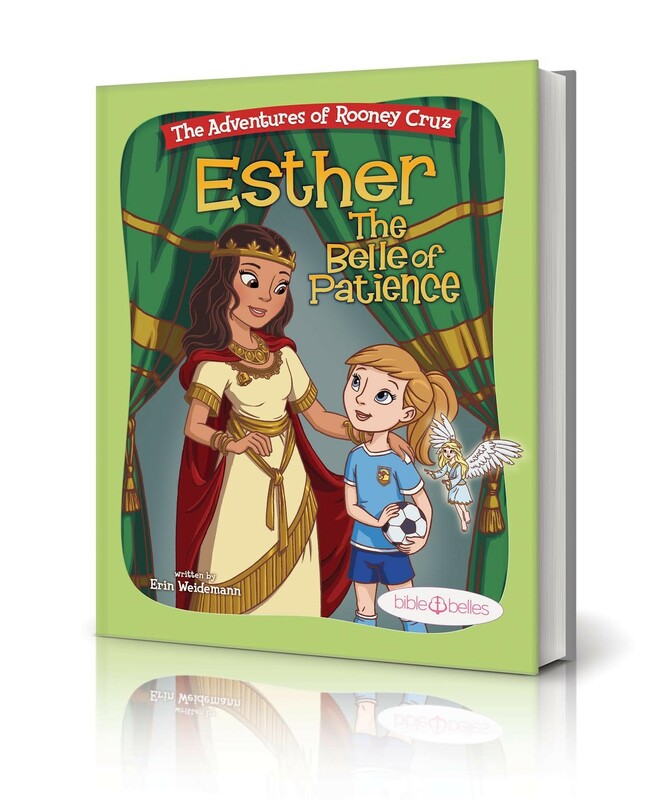 Quick Summary of Bible Belles’ The Adventure of Rooney Cruz: Esther. This is an original children’s series that presents real life heroes like never before. The series highlights five "superhero" women of the Bible: Hannah, Esther, Abigail, Ruth and Deborah. This series sets out to present women in the Bible in a way that has never been done before. The Bible Belles' want girls to connect with them and find out what being truly beautiful is all about. They want girls to remember their names, their stories, and how special they are. The story simplifies and teaches. The story of Esther simplifies her role in the Bilble and creates a fun and easy story to read for children. This story offers an introduction to Esther and her special, beautiful gift (portrayed as a superpower) and relates that gift to a real child's life in Rooney. The books offer a wonderful launching point to discuss these strong, Biblical women further--and teach a valuable life lesson as well. Bible Belles are presented as a series. There are a few allusions to the first character, Hannah, introduced from the Bible. It seems that Rooney's adventures will link and build as the series grows. Biblical stories merge with modern-day challenges. For some, presenting women of the Bible as "superheroes" may be a stretch--but, it works in this series. As Rooney faces real-life, modern challenges, she draws on her "visits" to the Bible Belles for guidance and life lessons. This series offers children a unique combination of our modern day lives and our Biblical past. Would I recommend Bible Belle's Esther: The Belle of Patience? These books take young readers (and families) into the lives of a few "Belles" of the Bible from a different perspective than usual--and that makes a fun and family friendly way to teach a lesson from the Bible....without a "deep", Bible study. I think these books are certainly enjoyable for younger readers to read alone--but, there are so many valuable talking points for families to explore as well. The main character faces a dilemma in this book--and finds guidance through a strong, Biblical "superhero". Whether you explore the social dilemma faced by Rooney or delve deeper into Esther's story....or both...this short, children's book offers a lot of opportunity for family conversation. As the mother of all daughters--I see this as series as a valuable one for girls--but, I think boys could learn a lot from the story as well. I would suggest reading the books as a series since references to the earlier book are made in this book. Buy the First Book on Amazon! Disclosure: Many thanks to Propeller Consulting, LLC for providing this prize for the giveaway. Choice of winners and opinions are 100% my own and NOT influenced by monetary compensation. I did receive a sample of the product in exchange for this review and post. Only one entrant per mailing address, per giveaway. If you have won a prize from our sponsor Propeller / FlyBy Promotions in the last 30 days, you are not eligible to win. Or if you have won the same prize on another blog, you are not eligible to win it again. Winner is subject to eligibility verification.